For a title pawn, bring in the title of your vehicle and a few other documents and you can drive away with up to $25,000* the same day. *Varies by state. 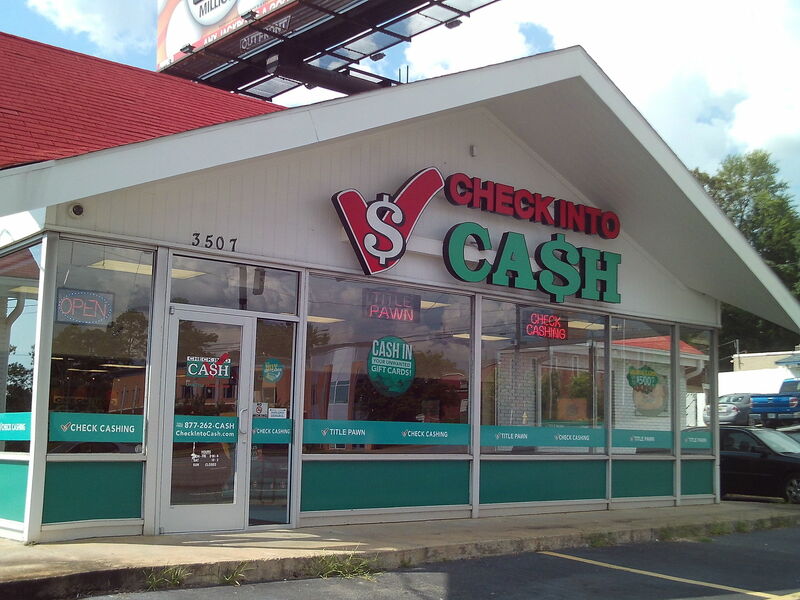 Come into our Check Into Cash Title Pawn - Closed Columbus store for your short-term financial needs. Whether you need a Payday Loan, Title Loan, or other emergency financial services, Check Into Cash Title Pawn - Closed can help. We're located at 3507 Macon Road. Stop by our Columbus Check Into Cash Title Pawn - Closed today, or call for more information. You'll find working with our team to be quick, easy, and confidential. To get the quick cash you need, you'll need a bank account, your government-issued photo ID, proof of income, and your vehicle and clear title (if applicable). You can walk out with cash in your hand! All products not available in all locations. Check Into Cash Title Pawn offers several ways to get a Title Pawn. Call us, fill out our online application or come in and visit in person today. Bad credit? No credit? Prior bankruptcy? Check Into Cash can still help! Best of all, you keep your car! Lowest rate guaranteed; just bring proof and we'll beat it. Whether you need cash for rent, medical bills, back to school costs, emergency funds, or anything else, Check Into Cash Title Pawn is here for you. All products not available in all locations.